If you are wishing to ease yourself into attempting a Long Distance Path then The Dales Way is a very good starting point. There are no difficult ascents to speak of but there is still the challenge of some long mileage days if that is what you want to do but there is the scope to shorten things somewhat. No matter what you decide to do, you can be assured of a well looked after and superbly waymarked route. 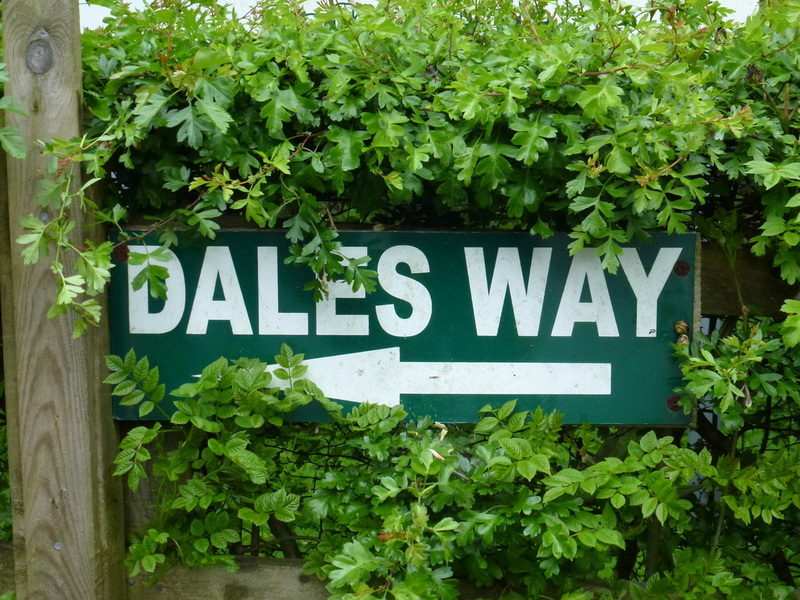 We gleaned a lot of information from The Dales Way Association website which can be found at http://www.dalesway.org. Just like the Coast to Coast Walk in 2012 we planned a good year ahead and most B&Bs were happy to take our booking although understandably there were price increases prior to our stay. Notwithstanding the fact we had paid deposits and had spoken to the B&B owners several times, about a month before we started we rang around to confirm all was well. One B&B that shall remain nameless had no record of us whatsoever but when they looked in last years diary - there we were!! By and large the B&Bs ranged from excellent to just about average. It is amazing to see the different standards and what you get for your money. All in all we were satisfied across the board and would stay in them all again should the need arise. If we ever did the route again we would stick to exactly the same itinerary even though we were constrained slightly by our requirements for dog friendly accommodation. We went off route at Linton, Ribblehead and Burneside but these were only minor mileage adjustments. Our advice would be that you don't have to stick to the recognised stops and B&Bs will help to transport you if you ask. If they don't then there is always a taxi to call on. The daily mileage was well within our ability although the penultimate day of 19 miles was hard towards the end but it would be wouldn't it! We felt good when we reached our digs that day but we knew we had done a fair amount of miles by the soreness in our feet. At 10 miles, the last leg is a day when you can really take it easy and not rush, thus enjoying the last few miles into Lakeland. The experience we gleaned from our Coast to Coast crossing in 2012 served us well and we utilised the check off list we prepared for that - amending as required. Angie's boots were literally on their last legs and started to let in water, particularly at Cam Houses. Looking after our feet was the main priority and we settled into a daily routine of looking after the key areas where we had problems before. Putting a light smear of Vaseline over the entire foot in the morning works wonders as well as putting zinc oxide tape on known blister points. At night following a shower, we rubbed some peppermint foot lotion in to ease the soreness. The result was no blisters and just slightly sore feet at the end of the long day from Sedburgh to Burneside. We had no problems transporting our dog Fudge's gear. There was plenty of room in our baggage for his food, towels etc and we simply rolled his bed up and tied it around one of our bags. We used Brigantes and were given a first class service by Annette & Mike. The cost was very reasonable for our baggage transfer and they also gave us a competitive quote to transfer us over to Ilkley from Bowness. We had our baggage waiting at the B&B each night and the only blip was on the last day when we reached Fairfield Guest House in Bowness and our gear had not arrived. There had been a bad pile up on one of the roads and we were only waiting an hour before Mike turned up with our baggage. We intend to use Brigantes for our Pennine Way attempt next year. The Dales Way is not as busy as the Coast to Coast and it was good to walk in relative solitude. Apart from those mentioned in the daily journal, we saw very few people. The people we did meet on the walk were very personable and it was good to meet up at various stages of the walk and chat plus socialise in the evening with like minded people. For both of us this was another fantastic experience that we really did enjoy and it was good to have our dog with us - lots of places for him to run free and more importantly for him, to swim. The landscape is extremely varied with something for everyone - industrial and scenic. We now turn our thoughts to completing The Pennine Way in 2015 and our planning is in full swing.